Here it is what I came up with during Clayton Kershaw masterpiece performance yesterday at Dodger Dodger Stadium. A single in the second! With Crawford on base Woo-Hoo! I love this old interview! Long time Spanish broadcaster Rene Cardenas interviews Mike Scioscia in Spanish. I love hearing Mike talk in Spanish. Mike Scioscia used to be one of my favorite players. I loved how he blocked the plate. I used to sit behind homeplate in the Loge level. There was an older lady sitting behind me that like me, used to go to the games by herself. Whenever she was not at the game because she also had tickets to the Lakers, I used to buy her ticket so that I could take one of my little cousins to the game. I did not know how well Mike speaks Spanish. Unlike now, back then I only used to listen to the games in English. Monday 9/1, Labor Day josh Beckett no-hitter pin will be given out. The Washington Nationals will be in town. The no-hitter was 5/25 against the Phillies at Philadelphia. Monday September 22 against the Giants we will get the Clayton Kershaw no-hitter pin. 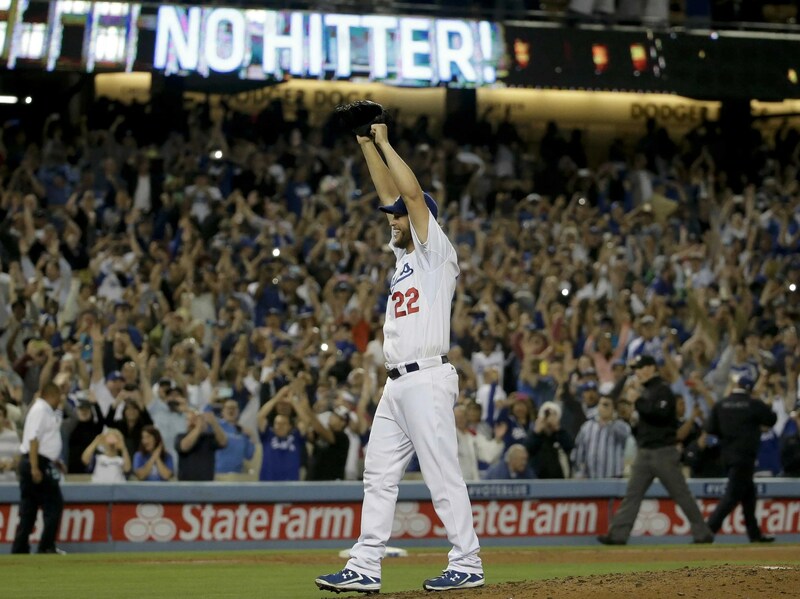 The no-hitter was at Dodger Stadium June 13 against the Rockies. Yes! I was at the stadium. 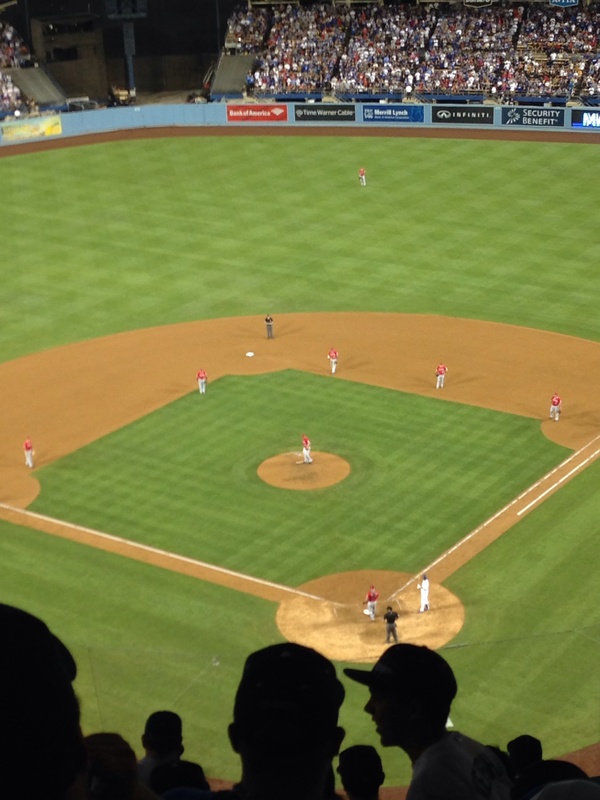 Post done on my iphone from Dodger Stadium. It is not too easy to do that on your phone. Maybe with practice I can get better doing this on my phone. I did leave the laundry for Thursday night. I am so glad I Did! 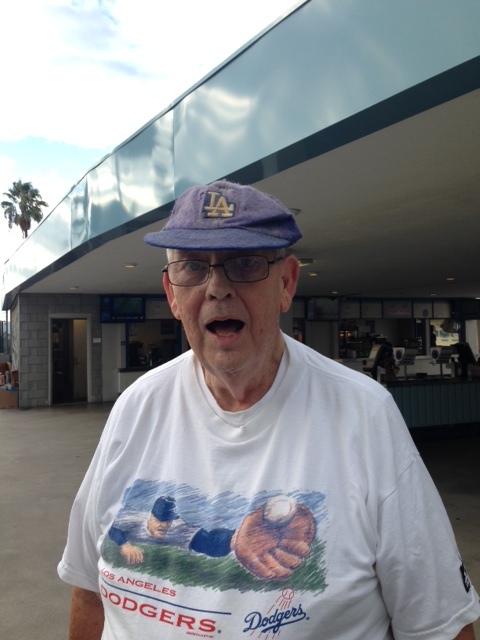 Wednesday night after the hair salon I headed to Dodger Stadium. I was glad my friend Lorena who has not been feeling well, went to the game. I am sorry that my brother Victor missed the game. He gave me the advice to go but skipped the game. What a great night! congratulations to our NIÑO DE ORO Clayton Kershaw! pitching his first no-hitter! 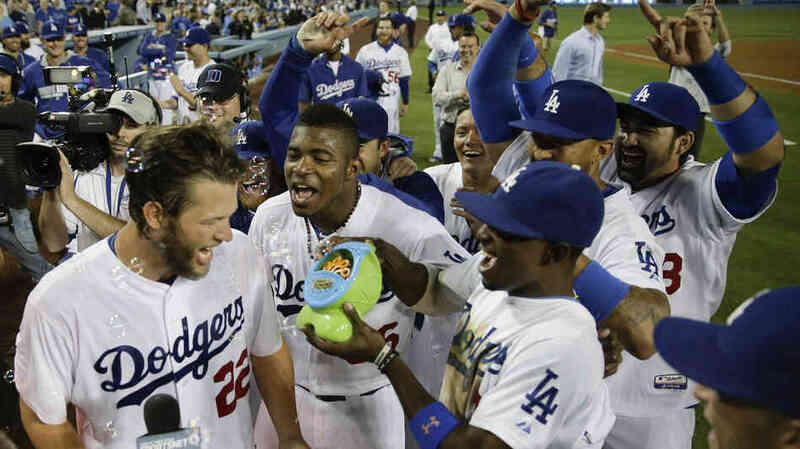 The bubble machine at Dodger Stadium was going in full blast celebrating Kershaw’s no-hitter. Clayton Kershaw didn’t just throw a no-hitter Wednesday night; he turned in one of the most dominant pitching performances in major league history. Calling his performance a no-hitter merely puts it on a list with 276 other games in which a pitcher didn’t allow a hit over nine or more innings. What Kershaw did by retiring 27 of 28 batters, the exception coming on a Hanley Ramirez throwing error, and striking out 15 of them belongs on a much shorter list. Congratulations kid on your first no-hitter!